Actually, the headline should read "Priceless" Real Estate Deal in Leavenworth. 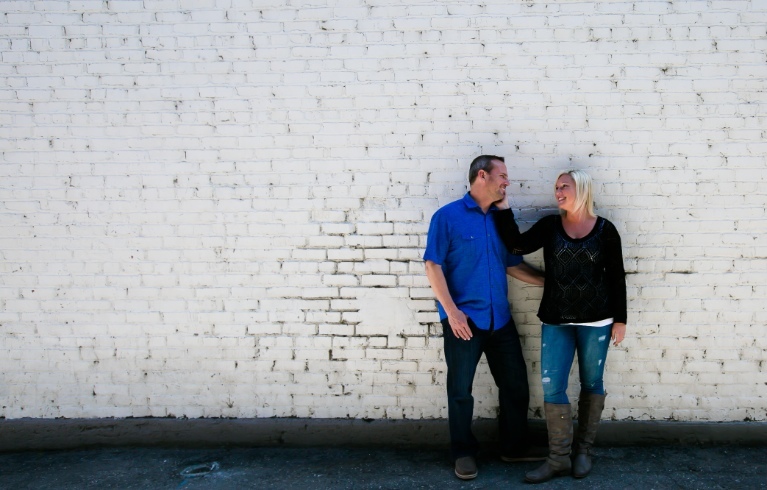 The story behind the deal involves two very outgoing, fun and professional realtors, Aryn & Andy. 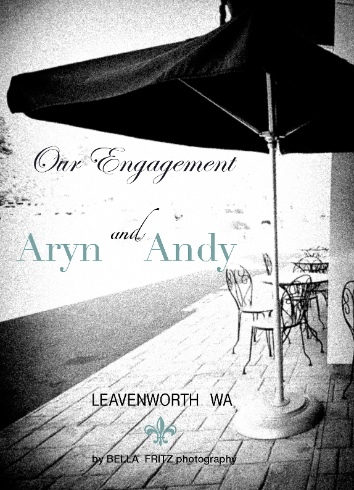 It turns out Andy proposed to Aryn in Leavenworth during one the Winter Christmas Tree Lighting ceremonies....and she said YES! Bella and I were fortunate enough to be chosen as their wedding photographers and they also opted for an engagement shoot....which we LOVE doing because it helps introduce couples to the experience of a professional shoot - without the pressure of the wedding day and we can just have some fun and get great shots of two lovers being themselves.....(everyone say Awe). 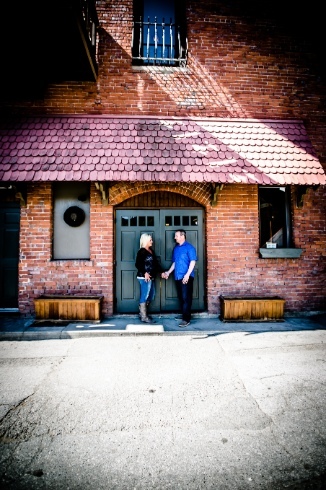 With Leavenworth Spring temps in the comfortable mid-70's we met to do their shoot and of course had to start out at Starbucks (Duh), then it was off to the renowned location the locals call Bella's Alley. We were having to dodge "evil sunight" as it was a cloudless day so we took a side trip down to the river front which provided shade trees and some great shots of Aryn & Andy. 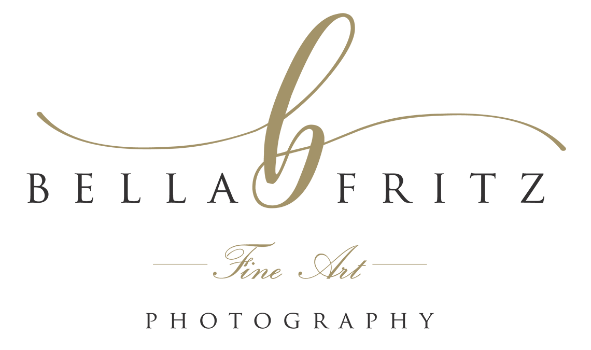 Something we always like to ask our couples is if there is anything sentimental they want included in their shoot. In their case, they brought two items with them; a Nutcracker - an homage to the fact that they got engaged in Leavenworth and will also get married at Sleeping Lady Lodge in Leavenworth, WA on December 5th this winter, and a pair of gold-rimmed Mickey Mouse wine glasses that were a gift from Andy's mom. They break out those glasses each time they close a real estate deal...filled with some bubbly of course! What a wonderful celebration of their successes. It's little things like this that remind Bella and I just how blessed we are to do what we do and to get this kind of access into peoples lives - it keeps us humble and grateful. After the park it was back to Bella's Alley and friendlier lighting, yay. Aryn & Andy were great to shoot and have such an awesome sense of humor. I think Andy with his quick wit had us laughing the whole day. Mom - OMG! No warning not to view while at work? (Tears!) These are wonderful. I especially laughed at the last one! They are a fun couple aren't they!! !